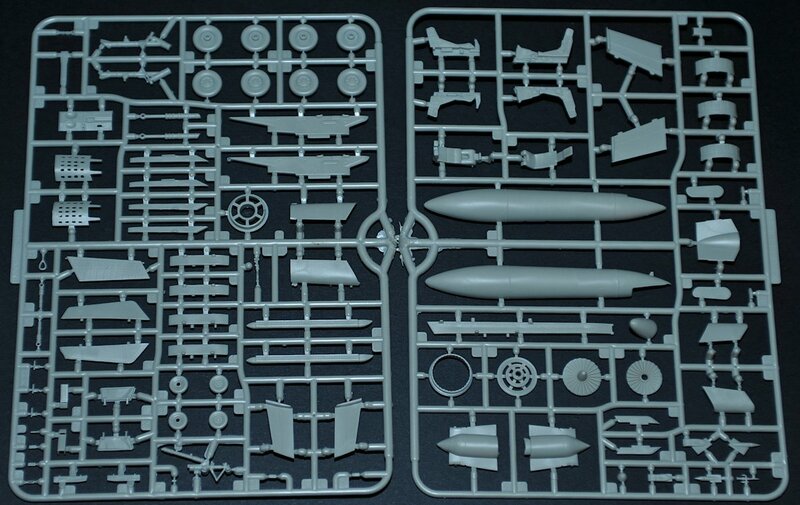 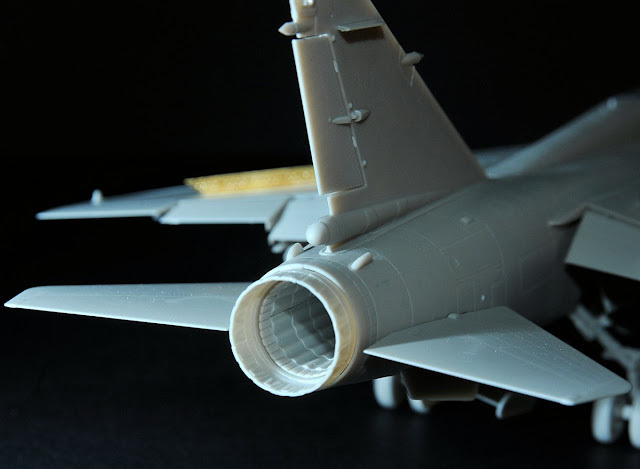 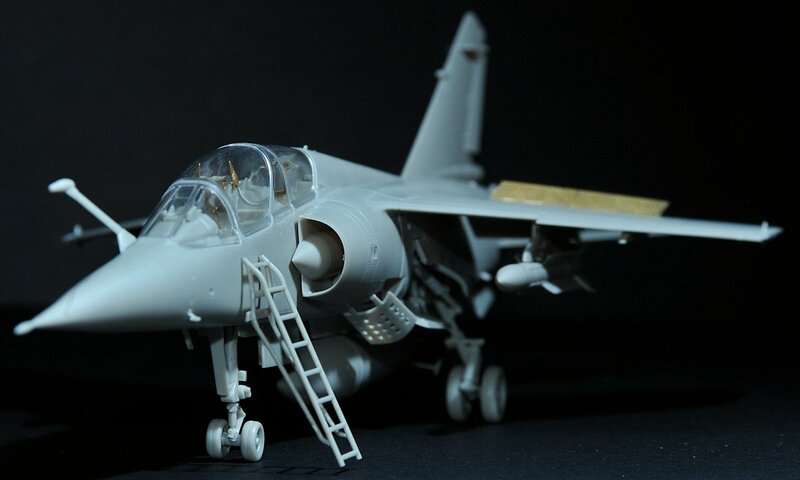 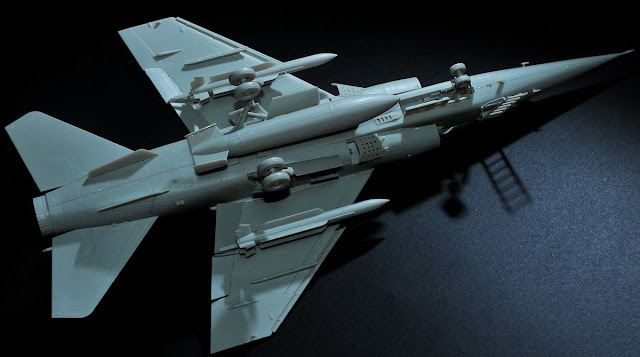 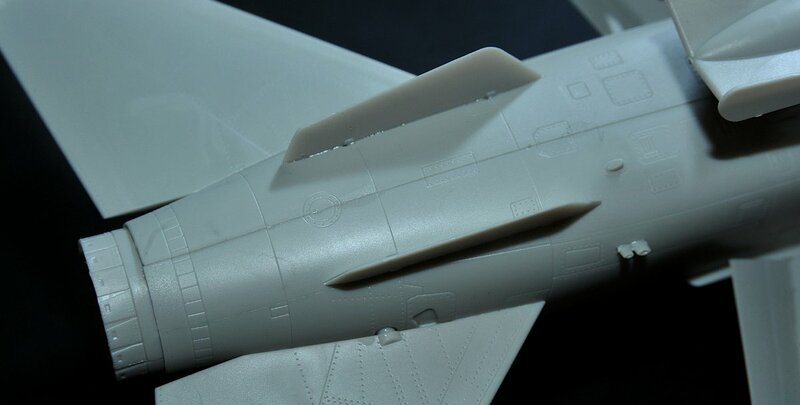 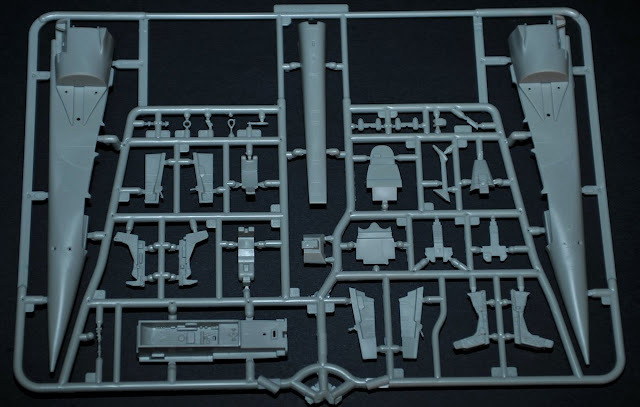 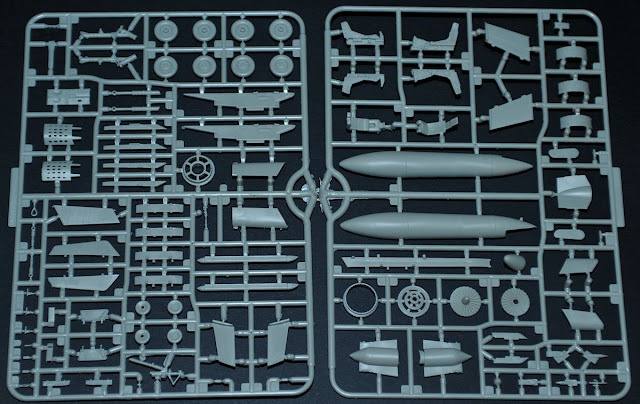 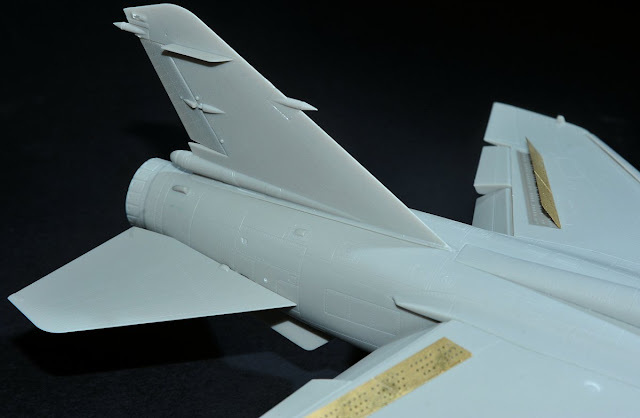 We have just received some excellent pictures of the sprues and the built up kit of KittyHawk's latest kit - the Mirage F.1B two-seater - Liking two-seaters myself I really dig the look of this one with it's large canopy, bomb load, sharp pointy nose..... Hang on - ill stop talking -just have a look at the pictures! 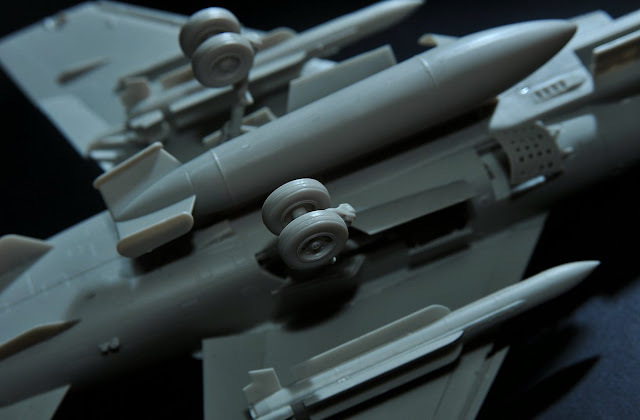 See here the kit in a rough but still attractive built up state - you can see from shots like this how well the engineering and the tolerances of the parts. 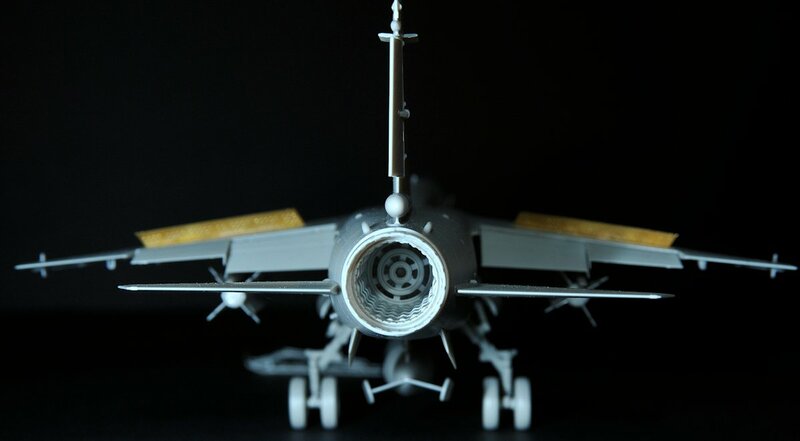 It sure looks good as is. 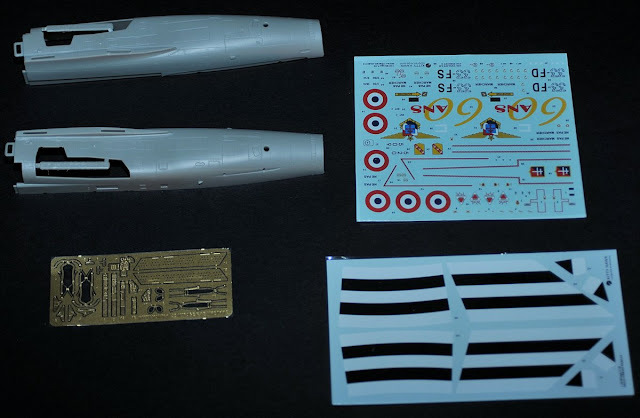 I think this will be a neat little aircraft kit. 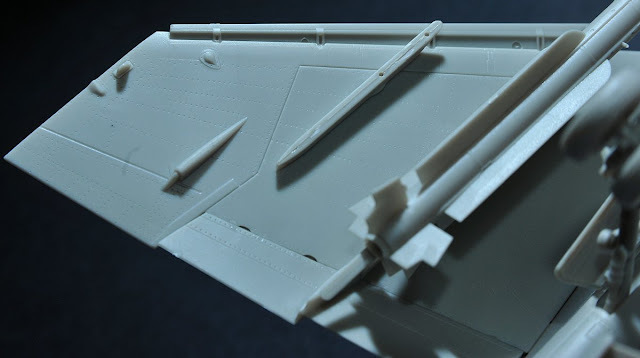 This and all of KittyHawk's Models will be available from their regular distributors worldwide very soon - we will show it to you when it arrives.